Update June 3, 2013: LIFE has updated its Compensation Plan and included an Income Disclosure Statement for 2012-2013. This statement should be presented along with any income claims made during a TEAM/LIFE presentation. Read our analysis of the IDS here. In the second of this two-part series, we cover the questions a prospect should ask a TEAM LIFE member following a TEAM LIFE Business Presentation. These are legitimate questions to ask when investigating the TEAM LIFE business. Thanks to Mesha for submitting the first-batch of questions. Future updates to this page will have additional questions to ask. In addition, many of these questions are applicable to other MLM business opportunities. How much time will TEAM/LIFE Business take to pursue? Can it really be only a ten hour a week business if I add up meetings, showing the plan, seminars, majors, follow ups, mentoring, driving time, listening, reading, etc.? If this business will eventually take up as much time as a job with the slim chance of making enough money to replace my job then is that really any better than having a job? Just how many people have become ‘financially free’ through TEAM/MV/LIFE? What is TEAM’s relationship with MonaVie today? How many members does TEAM have? How many people total are in my upline’s downline? If I sign up for this TEAM/LIFE thing and quit after signing up my friends, family, and/or coworkers, how will that impact my relationship with them? Does this claim of a passive, residual “B”-type income apply to TEAM profit sharing as well or only LIFE? Where are all the TEAM members who created their passive, residual B-type income and who retired from building their business? TEAM may tell you that everyone who has been successful has decided to come back and ‘help’ those who are just starting out of the goodness of their heart but, ask yourself why there are still Round Table members who have been in the business for years — some even ten years — and still haven’t hit Policy Council? Have you heard of anyone who quit the business still getting checks in the mail from the PV of their former downline? Why doesn’t TEAM talk more about investments when they show the plan? They say it’s important to own your own B-type business, BUT why does it say in the LIFE P&P that LIFE is not a franchise opportunity, but instead a membership? What, then, do you own? Why is the LIFE P&P so restrictive? What led to TEAM’s expulsion from Amway? 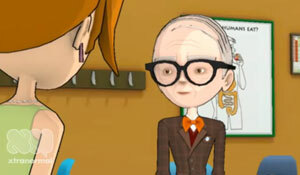 When Orrin and company tried to sue Amway, he claimed that Amway was operating as an illegal pyramid scheme because the prices on Quixtar items where so high that he claimed it would create an internal consumption model. After Amway Orrin choose TEAM’s next MLM to be a $40/bottle fruit juice company during an economic turndown. Could his decision have been influenced by that $3 million dollar ‘loan’ he received from MonaVie? Why did Orrin participate in anonymous blogging when he encourages those in TEAM to stay away from negative critics? Why are there so few Policy Council and Round Table members? Why have only two new PC couples been added since Amway (Hawkins and MacNamara)? They say that Orrin and The PC are only working to make your business better. The attitude is that they have already made it and are only helping those at the bottom out of benevolence, BUT ask yourself what they could gain out of this. Surely they are making at least some profit. Why is the system promoted like the Holy Bible at these meetings and on CD’s? How could this benefit Orrin and The PC? Why does Orrin Woodward still use the Top Ten Leadership Guru’s award to add to his credibility when this award was proven to be a sham? Why does he use the IAB award when this organization has a shady history? If Orrin Woodward is really a ‘leadership guru’ then why is he not mentioned more in mainstream media or even on non-TEAM websites? Someone may hear in TEAM that in this business you are building a community of consumers who act as a pipeline through which goods flow. BUT, a company cannot sustain itself by paying people to market their products if there are little or few retail customers. If the model is not focusing enough on outside consumption then this would be the equivalent of Wal-Mart paying for a community of loyal shoppers to shop there. Either the customers are only getting a percentage of their money back that they spent or the company is going to go bankrupt by paying customers more than what they all spent. How is LIFE any different? How many retail customers are there in LIFE (and I mean those who are not involved in ‘business’ building)? They say that your upline has a vested interest in your success because they don’t make money until you do but think about this. Okay, your upline doesn’t make money until you do. Now you are going to recruit friends and you won’t make money until they do, but they won’t make money until their friend’s do — on until infinity! How does this make any sense? If they say that they will help you build your team by putting people under you, ask yourself if that is that is for all your legs, or just below you on your upline’s leg that you joined? Do they really have anyone to put under you? Did they promise someone else you would be under them? They say this business is recession proof, but how are $50 a piece “self-help” subscription books and CD’s recession proof? It’s not a necessity. How come a lot of the LIFE subscriptions are recycled TEAM systems CD’s? They say that TEAM having its own MLM will allow the community to have more control over its business operations but could there also be a financial advantage to the top doing so? What qualifies anyone upline on TEAM to be a life coach? What is the difference between networking and community building? They say that the LIFE Business has the fairest compensation package in the industry but what percentages of people in the business are even able to break even after all expenses? How many people is it actually mathematically possible for to get the bonus checks? Yes, the ‘new person’ will most likely get a $7 check in the mail from their business, but how much did they spend to get that? Why on Earth is one of the ‘8 F’s’ ‘following’? What the hell? Why is TEAM’s logo two pyramids? Are they trying to be funny? How come the LIFE IDS and IDS for MonaVie is so sorry looking? You say this business pays for itself if you hit Power Player once, but what you really mean is the $50 dollar subscription fee. If I factor in all the other business costs (opens, seminars, majors, materials to hand out to prospects, personal systems and subscription costs, cell phone, and gas money) then how does this business really pay for itself? How can this be a multi-billion dollar business if it has just started? Why were the LIFE testimonials up before the business even began? Where did the statistic that 90 percent of all businesses fail within the first few years come from? Does this stat-if true- make the LIFE business any better? If you can make more money than the person above you, then why would it be so important for one to hold their spot of ‘virtual real estate’? They say that those at the top had to start someplace [implying at the bottom, and therefore you can make it from the bottom too] but how does this make sense when those at the top who started first didn’t climb up but placed people below them? They say a job is a pyramid because usually your managers make more than you but does a job fit the FTC’s definition of a pyramid? Does a job focus more on recruitment that sale of actual products? Does one’s ability to earn money end when the population has saturated? In TEAM-world it appears that Orrin and Chris have developed a leadership development company as a mere provider of training information for those who want to build an MLM business, but is that really how it is? In Amway, TEAM got in trouble for advertising that they, instead of Amway, were the business opportunity. What percentage of money advertised is from the system or from the business opportunity TEAM is supporting? How can TEAM preach ‘meeting people where they are at’ — leadership, and Christian values — all while having the attitude that everyone who quit the business or has concerns with it is a broke, cynical loser? Why does TEAM say that your friends and family may think you have joined a cult? Is there any truth to it maybe? Why do things cost what they do? Why are seminars, opens, majors, books, and CD’s so expensive? They say that the speakers on the LIFE CD’s have decided to not take any royalties for being on the CD’s but is that the same as not profiting from them? When the leaders were in MonaVie they didn’t take any royalties from the creation of the juice but they still made a lot of money. Why does everything have to be so black and white? Why is it implied that your only choices are ‘the system’ or TV? How about neither? I may not ask my boss what their income is but then again I am not looking into opening a business with my boss either. If what TEAM teaches is true about your up line being more of a partner in helping you build your business, then wouldn’t it make more sense to see what their progress and results are? Also, if I am going to be an independent business owner and therefore legally responsible for any claims I make about the business then wouldn’t it make sense for me to want to find out as much as I could about the business that I was an owner of? TEAM teaches that in order to get the results that you want in life you should look for those who have “fruit on the tree” and learn how to do what they did. Well then, wouldn’t it make sense to see if ones up line had the fruit on the tree? One’s upline might genuinely have your best interest at heart but is it possible that they could be deceived as well? Is what you see really ‘fruit on the tree’? Are upline houses and cars really the result of money made from the business or are they from loans or credit cards?? Does someone really have “fruit on the tree” if their fruit is coming from you in the form of systems profits? That would be like me taking money from someone and then claiming that since I had their money they should invest with me because obviously I had results. Is it moral to claim to someone that you are successful in this business when your success depends on the people you are recruiting? How do they have fruit on the tree with MV or LIFE when most of that money the PC has was made in Amway? How come there are a number of RT members are going bankrupt? Why do they say they don’t need you when it’s clear that they need someone? The attitude seems to be that every person who doesn’t join is stupid but if your business isn’t big then the blame is on you. Why are you told not to crossline in the business? Why is it that we shouldn’t watch the negative news? How can we “Take Back America” do that if we are sticking our heads in the sand? Why do all the TEAM leadership blogs say the same things? Why does Orrin Woodward and members of the Policy Council have all these different companies registered? How can TEAM go to a million people without saturating the market? Readers, do you have additional questions to add to the list? …If I truly own my own business here, why are you and your wife still ordering/commanding me around? And why are your eyes so big? You look like you’re constipated,….do you need some more of the “regular” blend? The one question I saw asked a lot that never EVER got a straight answer was “How much do YOU make?” The answer was always, “Oh, it’s possible to make a LOT of money in this,” or something along those lines. No one ever EVER answered this question with a number. There is TEAM/LIEf for you! Mesha, Its interesting how they ask you to partner with them in business yet refuse to discuss the very things that business is all about. What business partnership hides financials from each other? What business partnership doesn’t discuss the bottom line? A good arrangement would include full disclosure to both parties, wouldn’t you agree? Another question: If TEAM is a business can I sell it? The way we were taught to answer this question was thus, if i told you, you won’t believe it (answered with pomposity obviously implying one is doing so so well). Then quickly ask back a question or move on to something else. That answer is actually true for the overwhelming majority of MLMers. Think about it if an MLMbot has been in for 6mos, 2, 6 or 13 years, and all they manage to scam others is a pittance like the famous $9 scAmway monthly bonus of course you wouldn’t believe it! Guess what most prospects would promptly decide about MLM scams. NO! Seems like a lot of people on here are ready to hate and criticize and congratulate themselves on doing so. So tell me, what are you doing to save marriages, improve relationships, develop leaders, help people manage their finances better so they can actually have a shot at retiring some day even if they don’t make it big with Team LIFE, improve their parenting, etc? There are many questions and concerns about amount of time spent in doing these above things (helping people in these areas), yet all I would say your blog is doing is helping people believe achieving residual income, actually having some hope for a better life, and maybe helping others improve their lives isn’t a worthy pursuit. You can spend $50+ easy on cable & many other useless entertainments in a month, but God forbid I or anyone spend that much on something that might actually improve the way I live. I mean, all cable does is influence me to spend more money I don’t have. Yup, that’s the sound logic of critics. Hmmm, let’s rethink this, shall we? You’ve certainly been doing a great job listening to cd’s, and I mean that seriously. The information that you are absorbing is effectively fighting off the media (most of which is horrid) that you have been subject to your whole life. My husband and I also quit watching tv about 7 years ago, not long after our FRIENDS introduced us to TEAM. I still remember what a breath of fresh air that we thought we had experienced at our first Major. We both grew up in homes with broken marriages, abusive controlling fathers, addictions, etc. So, it was really nice to see people talking that way to one another from stage and around the room. We began making great friends with people that really loved their families, the Lord, other people, pursuing excellence. It was exactly the thought that TEAM was the tool for all of that, which kept us involved for almost 5 years. So, first I want to directly answer your questions, then I would like to share our story, if you are willing to read all of it. I want to make you aware ahead of time, that I am going to include a lot of scripture reference, which I believe you will be okay with if you have, as you seem to, listened to very much TEAM/LIFE system. Since any PC member will openly say that they believe this to be the Supreme Authority on Truth, I think it is appropriate to use it for much of my response. 1) To Save Marriages…Jesus, The Author and Finisher of our faith, clearly states in Matthew 19 that He(God), HATES divorce, that two people once joined become one flesh and to break that union is to tear asunder that one flesh that He has joined together in that covenant. He is, however, the only one that truly “save marriages,” NOT the TEAM, not you or me or anyone else. He designed the whole COVENANT institution of marriage, and the best thing that we can do to HELP one another in our marriages is to study His Word and spend time in a communing relationship with Him. As we grow IN HIM, our marriages will become stronger and we will have better discernment in encouraging others in their own. Yes, there are many good marriage books that can help break down what the Bible says for practical application, and the TEAM system offers many of them, OR you can go to your local Christian Bookstore, or ask a minister you trust, or BEST YET seek the LORD in prayer. James 1 tells us that God gives wisdom to ALL that ask for it, “Liberally and without reproach (KJV)” I believe that the promises of God are true for everyone regardless of how long they have been a Christian. 2) Improve Relationships/Parenting…Really the same answer as above. ALL of Paul’s writings in the New Testament tell us how to build strong relationships, but a GREAT place to start is 1 Corinthians. Paul is the ultimate testimony of the transformation from a non-people person (he was a religious zealot who LITERALLY killed people that disagreed with him at first) to a person who would ultimately give his own life so that others could have better lives – here yes, but his focus was more eternal. 3) Develop Leaders…Again, the greatest teaching came from the GREATEST leader, who literally changed the way we measured time even. The whole New Testament really speaks to this directly, while the Old Testament is chocked full of examples of great leaders and terrible ones for us to learn from. 4a) Help People Manage Their Finances Better…To this I have to respond with a question…Outside of books that you could find at Crown Financial Ministry or Dave Ramsey’s Financial Peace system, how much REAL financial management are you actually getting from the TEAM? In fact, while I agree that life should not be purely made of focusing on finances, this seems to be a short coming of the “business” of TEAM, and while I appreciate your Cable example and you can MOST DEFINITELY find better things to spend $50 on each month, I think if you keep a running total of your direct expenses, including tools, tickets, food on the road, etc. you will find that $50 will not even cover your cd costs for a month. 4b) A Shot at Retirement…Again I’m going to ask this question – What does that mean? Retirement? Even assuming that you will one day be able to kick back in Hawaii on a whim, buy all your clothes when you get there, own your dream home, Car, etc. all on a residual income – Is that really what the Bible teaches should be our aspiration? Read Luke 12, specifically verses 13-21 and think on that for a moment. Now, I think it would be safe to remove the assumption that through the TEAM, you would even have that option, as once you begin to calculate your monthly expenses, it won’t take long for the math break down. Inloveserve- I missed your comment earlier, but what an outstanding post! I can echo the first part of your statement when you talked about TEAM being a “breath of fresh air”. I felt the same way the first time I came to a seminar. I would be around people reading and listening to success principals while talking about a Christ centered approach. All of those things hit me at the core and I thought I had found something unique in TEAM that I wanted to share. Well, as you stated turns out it was all a massive lie. My point is that I think a lot of people feel that “aha” moment when they find TEAM. Current TEAM member reading this understand this point: Leaving TEAM/LIEf is not turning your back on success, or your faith. Get out now to save your reputation and money. Oh William, oh William. Wherefor art thou William? I can learn from the bible by ….. Oh gees I don’t know ….. GO TO CHURCH! TEAM/LIFE play on people’s hope, and people buy into it because they coat everything with sugar. Thanks webelieved, I have come to realize that the only way I can reach her is through love I will look at that book. My goal now is to give her positive support and reassurance that she can do anything all by herself. Also that we are there for her and we always have been. My hope is that if I can give her the “happy, happy, I love you man” reactions and that she will realize she doesnt need them. It’s hard to do without her thinking that I am “ok” with the “business”. I would be interested in talking more with you about a project I’m starting. I will give you the full details via email. I would really enjoy hearing from you! Love to see a community working together to help people! It would be a funny question to ask, especially if one used the Bridgekeeper’s voice. Funny Gordon, but what do you mean? An African or European swallow? Sorry, can’t do the voice. We can do all things through Christ which strengthens us! Gordon- It is great to have to you on here! It’s quite clear that none of you own a business. Go ahead and do some research on owning a business and then preach about how you can make money in it. Or maybe you enjoy sitting in your office/cube at your job and truly enjoy it. Brainwashed by TEAM. Hmmm…but isn’t this blog site doing the exact same thing. Think about it for a second, if the blogger will allow you to, and look at what AMTHRAX is doing. They are preaching how one is not better and they go on and on and on. And yet it’s just the same handful of responders that are on here. WeBelieved seems to be the one badly burned (so sorry to hear that), and he/she continues to wallow in their self pity. It’s really pathetic to see that someone spends that much time on….nothing. And I read the touching story of inloveserve. That was very touching that…..oh wait there wasn’t a story. Hmmm. That’s too bad. I really wanted to be touched by the story. As for your quotes from the scripture to rebut Williams statements, yes one can believe in God and trust in Him and in Jesus Christ. They are not trying to replace the Almighty. They offer counsel as do the people in your team. So you mean to say that if a marriage is having problems, the couple should not seek a marriage counselor of some sort? Of if their kids are behaving badly that they shouldn’t seek a psychologist? Go do something positive instead of spreading more negativity in this world. You are taking up our space and breathing my air. Here’s a question you should add AMTHRAX, and it’s a question for the prospect. Are you a better person/friend/husband/father/wife/mother, etc? As for these questions above, ask me. I’ll give you an honest answer. But don’t sit there and complain after I give you an answer. Here’s my name and email address (something that none of your followers seem to put on here). Email me with your information and tell me what you were like before and after team and how you truly are a better person now. And unlike inloveserve, I will tell you more instead of hiding behind scripture. And more importantly I want WeBelieved to email me. Are you part of TEAM/LIFE? Have you read the P&P? Yes and yes. Do you work for a company and/or own a large corporation? It’s funny how that’s the only thing you would point out. And please don’t pollute your friend with the same propaganda delivered here at this blog site. I gave my email out there. I’m free for a discussion. Just not on this site. And for those that will clearly point out after a week or so of me not responding “Where is Gaven”, I do have things to do. Some day I will come by on this site and read back on your comments. WeBelieved, I’m pretty sure this post won’t make it as I have posted 2 other things on AMTHRAX today, neither of which have been cleared by AMTHRAX. So talk about controlling…. And as far as breaking my company’s P&P, I said I don’t want to have them involved. I’m not breaking anything. It’s so pathetic to see people like you on here. I spent some time with one of your cronies, Scott Johnson, today. He did go on to call you guys idiots by the way. It was pretty funny. He said that he didn’t really agree with everyone on AMTHRAX. Then he went on to call me an idiot and at the same time calling all of you idiots. lol. Your own follower! Funny stuff. Anyway WeStillCan’tPostOurRealName, if I was hiding, why am I using my name and you aren’t? I’ve wasted my time here. But most interesting is how he failed to address the real issues with the P&P, that have been brought up on this blog such as; ‘controlling’ the Independent LIEf business owner (haha) and your immediate families opinions, thoughts, and feelings, what websites you can or cannot go to and comment on; such as Amthrax etc.. I find that very telling of his character that he doesn’t think anything of violating the LIEf P&P when he works for a “law firm”? Could you explain that, gaven? BTW Gaven, along with the violation of the P&P, I was curious about your motive for showing up on this site, basically soliciting people to contact you for a private conversation? Why would you want to contact anyone privately outside of this site? Are you here representing the “law firm” you work for, perhaps, trying to solicit some clients or are you paid for by orrin/team/life/signature management team or any entity related and have a specific task for them that caused you to come here or are you on here because you felt the need to share your wealth of ‘opinions’ from a liefer perspective and telling people how they should respond? I am looking for your honest answers Gaven. Gaven, How long have you been in Team or LIEf or both? How long have you know orrin woodard and or the other PC? Have they hired you or your firm for a specific task to do with Amthrax? If so what came first, the hiring or you becoming a member? Gaven, it wasn’t hard to figure out you don’t give a sh*t but thanks for admitting it. But don’t expect anyone to “care” about you either, that is elementary “people skills” and perhaps you should have read “How to win friends and influence people,” (before you got here) that is if you were seriously trying to solicit people to contact you. I hate to rain on your parade but pretty sure that blew it for ya, gavey…just saying. And the last question about looking in your wife and children’s eyes is ridiculous, and you should answer it for yourself Gaven. Remember you don’t “care” so never mind about our children and families. You must not understand the depth or the difference parents make in their children’s lives (with and then without) the Team. Read the rest of the blog before you spout off a question like that. If you talked to our children it could crush you (that is if you had a heart), at what a negative “difference” orrin and Co’s cronies made in their lives…but then you really don’t give a sh*t anyway, do ya gaven? Speak and WeBelieved- Awesome post- thanks so much. For those not in TEAM/LIEF lets celebrate another day of freedom. Does anyone else find it interesting that you cannot comment on the YouTube videos for TEAM/LIFE? Frustrated- I just checked and you are able to comment on the “Something Right” video. My guess is that it wouldn’t last long up there though. How come when I google news for team/life I only find self published articles? Thanks Webelieved…you explained what happens to you through the process. Frustrated~ A very simple answer to your question is: No one really gets ‘started’ they get “recruited” usually by someone (family, friend etc.) they TRUST based on making a lot of money and what they either know about your specific desires or find out about them. But These basic human desires they promise and promote as if they are the answer for you to get them all. In other words people don’t seek the scam out, the scammers seek you out and then it becomes a very systematic process unbenounced to you, which then follows what webelieved explained with deception and how great everyone and everything is. Just like webelieved said they lead to believe it is the answer to all your problems that you have been looking for.The recruiters have been trained to feed on your desires and know how to manipultate your personality. A step by step process happens you believe is all spontaneous and natural….but simply is manipulation! Gaven: Your comments are going into moderation because you keep using different names (G.S., Gaven Sashidharan, and Gaven YouShouldKnowMeByNow) when leaving your comments. Stick with one consistent name, and your comments won’t go into moderation in the future. Thanks Amthrax! :)…..Hmm…another standard MO approach! How maannnyyy times do these shysters have to do this before they learn…Yawn?! There went your crediblity Gaven?….Now try and tell us someone else is sharing your computer…thats been tried and tested too.. but hasn’t been effective or believed! So we can’t even say “nice try” gavey…then you have the audacity to say Amthrax is “controlling.”…pfft! Just another example…Follower…. of those great guru…”leeeaders” who are just ooozing with “integrity! You know what is “pathetic” gaven….is your lack of integrity, arrogance, ignorance, and condescending attitude. BTW~ Who is Scott Johnson? @Scott Johnson is also known as Tex, who is an opponent of Amway Motivational Organizations (i.e. WWDB, N21, etc.). He’s been banned from this site because he constantly belittles people and tries to get them to call his conference line (which few people want to do). Thx again Amthrax…haha…now that is funny still don’t “know” or care to know Scott Johnson/ Tex… other than have heard of Tex. One other thing..where could I find the comment(s) listed under the 3rd alias “YouShouldKnowMeByNow?” I don’t recall seeing that moniker. @Scott Johnson I walk with god, is it hot where you live? He used it in this comment. You didn’t see it because it had been moderated for a couple of days (which I approved this afternoon). I would avoid Fortune. Can you talk about your experience with LIFE over the past year? What kind of questions do you have which have not been answered? Well I know someone who has hit power player and still not making what I feel is worth what he is spending. I am spending 100 per month and have not made over 20 dollars and the guy who mad power player is just a little over that. I am not even close to power player???? Sounds about right, keep doing what your doing, your right on track. Success is just around the next corner, just go Power Player and everything will change, that is the key to success. Pfffftt! And don’t forget the ticket to the next major function huh? The significant problems we face in live can’t be changed if we remain at the level of thinking we were at when we created the problem. HAHAHA! You need to get “ALL – IN”. “Virtually no negative on the internet in regards to Network 21”, said david steadson. david, FYI, there are thousands of negatives, what planet are you from? Check this one out, sound familiar to all you Teamers? They must have picked up this one listening to Team/Orrin. “Any questions about Amway are answered with lies. I was told several times in the last session I endured that they had a casual relationship with Amway (the words used were “Amway is one of our suppliers”) but the real link was continually denied.” “One of our suppliers” hmmm….I wonder who else they are getting supplies from. Melaleuca? Shaklee? And if Amway was merely their supplier, shouldn’t they be finding a more cost-effective source for their supplies? Ah, the old “they are our supplier” rhetoric. First Amway is their supplier, then Monavie is their supplier, and now Life is their supplier. No your honor, I don’t work at McDonalds, they merely “supply” me with the food I need to assemble hamburgers. I am not in the Amway business, they “supply” me with the laundry soap I need to wash my clothes, and attach my tool selling money grab to. So one of my 50 questions is why do they do that? Do they really think that trying to place distance between them and their…..wink, wink,…..supplier gives them credibility? Ridiculous! no I have not where is it located for me to read. I really wanted to make extra money but having second thoughts. And yes that was just for tools not the major and or road cost. @kwp73, The former Power Player program required that you build one team 10 deep with 4 on the system, and the other team 5 deep with 2 on the system, correct? Since everyone who signs up with Life is essentially “on the system”, have the qualifications changed? What exactly does it take to become a “Power Player”? What a bunch of bullcrap!! I am a proud member of Team/LIFE and I just left my job on April 4 2012, which was my birthday present. Team/LIFE has changed my life in so many ways. For people to say you can not make a profit have no idea what they are talking about. I will admit for the first 7 months, we made no profit. Month 8 we finally broke even and today, 29 months after we signed up, we are making a huge profit. I will tell you guys how much I spend, and how much I make a month because I want to shut u all up. We spend $648 a month(not because we have to but because we CHOOSE to) on books, CDs, opens seminars, etc. and for the month of July we received a check for $14,936. Pretty good investment if u ask me. Before LIFE launched we were only making half of that with Monavie. LIFE has truly been a life changer for my family. @Arthur – How much are your downline making? How many people in your organization are where you were during your first 7 months? Hey Arthur, I suggest you stash as much of that monthly Life income as you possibly can, and do not assume it will continue for long. Also, don’t burn your bridges in your former career. Take it from one who once was where you are now. You might think you have found the goose that laid the golden egg, but after awhile those eggs go rotten. Congratulations Arthur! You just made one of the worst decisions you could possible make by quitting your job. Nearly everyone I know over the past number of years who did what you just did have deep regrets. This decision will come back to haunt you. It won’t be too long before most of those you convince to join Team will realize that the Three to Five year plan actually means it takes three to five years to realize what a terrible mistake they made in getting involved with Team. For you to tell the people here that they do not know what they are talking about is an arrogant and ignorant comment. You don’t have all the facts about how bad this business really is. You have landed in Oz and have been fooled by the smoke and mirrors of the great wizard. How can you honestly tell the new person you are getting in that this is a great opportunity for them? How can you do that and not feel you are deceiving them? Just do the math. How many have passed through the Team the past few years? They don’t tell you how many drop out do they? The success rate is dismal. The cost is excessive. The failure rate is shockingly high. You are not close enough to the top leaders to see the real life that they live. They are work-a-holics who live lives full of stress and anxiety. They present their trips and life styles as something that is great but it is not what they pretend. It won’t get any better for you Arthur. It only gets more painful from here on as you will slowly learn what a bad mistake you have made. People on this site not only feel this way themselves but also know many who are heart broken over the wasted years in Team. When someone like you has the opportunity to hear the truth but rejects it because of all the propaganda it is very disappointing. We are not insulted by your comments we are actually hurting for you because we know what is in store for you. someone help me! I got messed up with avatars…ended up with a bazillion wordpress names/accounts and spent the rest of the day trying to figure this all out! Okay, I see something finally went through from me…when I tried a 3rd email account, I finally got back on from this morning’s mess. BTW, did you see where Bill Lewis, on his Team leadership blog made the absolutely reprehensible statement that children are essentially born evil in sin? I left a message for him on his wordpress blog…gee, I wonder if they’ll print it? @former round table: hey, if “Arthur” is really making that much in a month, he must be getting hefty bonuses based upon downliner productivity. And perhaps by now, he/she is not bringing in that much on his/her own? John, you say I’m ignorant but most everybody here are bashing the people who are trying to change there lives. @Amthrax, you want to know how much my downline is making? I won’t give you numbers but I will say the people that are doing the work are being compensated rather well. It’s paid on performance. The reason why people quit and say its a “scam” is because they sign up, and do NOTHING. They expect the upline to add people to the team, and then expect the downline to build it for them. If you don’t do the work, you don’t get paid. @webelieved, You have my real name and quite frankly, my back office is none of your business. Either you believe it or you don’t. You will not see me here anymore. If people don’t bash your business adventures, please don’t bash there’s. They are trying to make a difference in there lives so instead of being so negative, if you have nothing encouraging to say, don’t say anything at all. webelieved, I am saying the people that did nothing are the people who quit. Read my post again. If they did work, they would have been compensated for it. If you think Arthur isn’t my real name, thats fine. I’m not going to waste my time trying to convince somebody who sits with his computer all day being negative and making fun of people. I hope you’re proud of who you have become. While I have appreciated much of your analysis of the team biz, and even your passion for the truth, I would (kindly) ask that you try and refrain from commenting on certain doctrine(s) that a team member brings up, esp since this blog isn’t geared towards religious debate. For example, while I clearly disagree with Bill Lewis on so many things, I happen to agree with him on the sinful condition of children. But to debate that point on here is not, as far as I can tell, relevant to the goal of this blog. My goal isn’t to censor free speech, but I am considering the sensitivities of those of us who agree with you in your criticisms of the Team/Life scam but part ways with you on matters of Theology. I’m not even trying to say that religion shouldn’t be discussed here. For clearly Team leaders, I believe, have used it to their own ends to woo undiscerning Christians and religious folk into the fold. For I was one of them. But I see attacking Team leaders for using religion to their own deceptive ends as…well…fair game. However, being critical of a particular doctrine that a team leader happens to hold is…well…not in the scope and purpose of this blog (Amthrax, correct me if I’m wrong here). I absolutely respect your right to believe whatever you want regarding religion…even if it’s a belief that is diametrically opposite my beliefs. For that is what freedom of religion is all about. And I celebrate that freedom. (If I remember correctly, you discussed this issue of freedom of religion quite well recently on another thread). However, I don’t think Amthrax is really interested in religious debate on this blog, and out of respect for him that’s why I have refrained thus far in challenging you on the very few disagreements I’ve had in your posts discussing religious issues. Lastly, please don’t mistake this as an attack on you or an effort to censor you. I just want to make sure we keep our criticisms narrowed towards those who abuse religion to evil ends and away from the religious beliefs/doctrines held by the people that many on here, like yourself, are warning others about on a daily basis. Thanks, and keep up the good work!! Amthrax, I apologize in advance if you feel my attempts to correct Mother… are out of line. For that is not my intention. @mattjer22: Hon, I hope the “22” doesn’t stand for age or life experience here. I’m not going to rant too severely back on you, nor your silly, sophomoric, Un-American statement to AMTHRAX re: “attempts to correct me” from an opinion founded in fact. You can’t squelch the truth. Perhaps AMTHRAX can take care of him/herself? DRUMROLL PLEASE…………………BILL LEWIS CLAIMS BABIES ARE BORN SINFUL! We’re not talking about lewd, disrespectful teenagers here. I rest my case. I do NOT believe I have ever disrespected AMTHRAX, who well may be a minister of some sort. That’s not why I’m here. I see Amthrax being quite able to manage this site, so I’m not quite sure why you are cloaking your attack of me as concern over something else. We all know better. What you need to understand: I don’t care one hoot about earthly religion and who subscribes to it on a personal level. I DO mind my grandchildren being dragged into a borderline HATE/THOUGHT CRIME business pushing this kind of Medieval poppycock. This is how children get bashed and beaten and burned–I know this from firsthand experience. You are the one who has missed the point: all religion, but especially this type of skewed acid religion does not belong in a so-called MLM sales business. They are using it as leverage to make people their slaves while covering up their own crimes. Just sick. Signed: raised an ULTRA strict Catholic and all of the horrors that came with it; National Jesuit University Scholar; past student of Theology, AND who made a conscious choice to let the myth go, BUT who stands in NO judgment of believers, AND ALSO, HOWEVER who will point out potentially dangerous religious fallacies in a business selling paper products, floor cleaners, and juice that my family is being drawn into, etc. as long as AMTHRAX lets me. CLARIFICATION to mattjer22: An upline leader in a business pushing paper and CDs is actually PREACHING one specific religion’s belief that babies are born sinful….are we so egocentric ourselves in America to not see that there are other religions in America and the world and that Christianity should not be pushed on them by upliners in a sales business motivating others to sell, sell, sell? These freaks (Amway to Life) are in 80 countries in the world….and we have American upliners claiming babies are born sinful? This, obviously has nothing to do with you going to mass or services on Sunday mornings. PS: to mattjer22: if AMTHRAX would discount particular tactics of what LIFE is doing as “taboo on this discussion board” well… when it comes to religion and propaganda to members thereof in order to indoctrinate them deeper…….then AMTHRAX would also be committing the same “sins” in reverse–because this site is dedicated to exposing the truth about the iterations of LIFE. The truth hurts and the zealous cannot sometimes step back and see that millions in the world (and by the way, even in the USA) do not hold the same beliefs they, themselves do. Let me explain why religion came up, from me: because I kept finding string threads of one belief sect, i.e., Christianity, infused in a business where the teaching/conversion to it does not belong. Now, admittedly, I have bias. Example: Catholocism tore our family asunder from crimes punishable by law to divorce. Completely torn asunder. The children (2 of us) were caught in the crossfire. I made every effort in my life to NOT do such things to my child/children. This doesn’t mean I didn’t get the urge, at times, to lightly slap a sassy, defiant teenager upside the head behind the proverbial woodshed. My son is now in LIFE. If I ever see repercussions with attitudes like “babies are born sinful” used against my grandchildren, I would not hesitate to legally have those children removed from that home. I would not hesitate to sue those in LIFE if a connection could be proven. From where I stand, this all has nothing to do with what each one of you do in your own life and belief system. But on this blog site and in these threads, having potentially thousands of folks indoctrinating newbie downliners with their views on a particular faith is, well, rather frightening, like a case of playing “religious post office”, especially when it comes to the so-called “Leadership Blog” kingpins. Hey Mom, I happen to think that MattJer22 said it exactly right, and I applaud him for saying what he did. I support you 100% on the evils of Team/Life. Orrin and Laurie Woodward were once my best friends, I have seen first hand how Orrin has slid into a pit of narsicism and egotism. When I realized he was perverting the religion I believe in to further his own personal gains, I quit. My family will never recover financially from our folly in leaving very lucrative careers to pursue Orrin’s dreams. It breaks my heart to see so many unsuspecting families mesmerized by this charlatan. I am sorry for people like Arthur, who one day will wake up and realize that to continue to earn money from Team/Life, he will literally have to sell his soul to Orrin. I was once an atheist with the same horror at hearing babies were born into sin (amoung other things). I thank God every day that He opened my eyes to my need of Him. Please, when you equate Christian biblical beliefs with hate crimes, you are not serving yourself well. @round table: what?? Sorry, I am not following you very well here. I said: LIFE people were doing the equivalent of this (spewing one large faith’s belief) against children. I did NOT equate Christian Biblical beliefs with hate crime in general–that’s absurd. Answer me one thing: how does one NOT bring “religion into it” when one is reading the in-depth teatises and leadership blogs that are spewing it? That’s what I don’t get. So, my friends: you want censorship here, too, eh? You want it because you believe in somehting on your particular belief system–even though what LIFE is doing with ONE religion and it’s dogma, is germaine to dissecting HOW they are indoctrinating others on a cult level? You cannot keep yelling that this is a cult, without pointing out the religious underpinnings, etc. Also, I do not appreciate you, in turn, “looking down” on me in one of your last sentences, as if I am some sort of a deluded Atheist who has not discovered an absolute truth—in this case, being your version of a supposed absolute Christian God you take to be fact. I never did this to you or anyone else on this board, but evidently, you believe and feel it’s okay to do it to me? I am more than proud to be an Atheist who has a strong, moral compass, and who spent her life caring for others. This is how fights start, and it was never my intention. If your God helps you in your personal life—hey, more power to ya! What I object to, and want to redirect to where my comments belong: it does not belong in a damaging cult as a stong thread with which to bind their victims. Claification for Round Table: wait, you said it yourself: Woodward, etal, have abused religion. I think some of the problem you have with me is this: I actually made a very conscious choice to study theology and the history and development of Christianity–and I may come across wrong, perhaps erroneously as I see now :)))) when I said things like: there is no written proof, aboslutely none, in any writing of early non-Christian chroniclers of that 33 yr period, that Jesus of Nazareth ever existed. This is just historic fact. It was NOT MEANT to blow your belief system for yourself. WHY DID I DO WHAT I DID WHEN I WROTE THAT? I use such facts, basically, against Orrin Woodward who seems to deem himself as an expert on everything from Ancient Greece, the Roman Empire, the founding of America, the loss of culture in America and the entire Westernized world, the entire Federal Banking system, Religion, Warfare, the Progressive Movement of the early 20th Century, etc., as a HISTORIAN (in his mind). I merely spewed some historical facts back at him, thinking all of YOU would understand. Oops, wrong. From here on in if I ever decide to post again, I will be very careful to distinguish whatever I am saying as a counterpoint. And hey: I would NEVER say there are no good things about religion, and if you want to go back to search my posts, I even said: “the good things about religions” in sentences. Here’s one good thing about organized religions from some good friends: their sense of community and what they as individuals do with it. I also have a religious nursing friend who started a hospital in Guatemala and who got caught in guerilla warfare. I, myself, have served food to the homeless at a church (even though it is wrong to make people pray your religion’s prayers to get a hot meal). Do we at least understand each other better now? Everyone – Many MLM companies and their training organizations use religion as a tool for control and coercion. Religion is used as a hook to lure people into the business, and it’s used as a means to keep people in the business (which in turn becomes a pseudo-religion in of itself). Personally, I think that religion (and politics) should be kept out of the business, and I’ve stated this numerous times in either the comments section or in posts on this blog. In the context of discussion here, it’s fine if we discuss how the use of religion (and politics) is abused in MLMs. What is out of scope is discussion whether one religion (or another) is valid or not. There are many places on the Net where you can debate this topic; this blog is not that place. And today, he believes if he can wipe the slate clean [acid wash brains], as he enters the second year of his LIFE quest and weath to: hammer it home that he’s correct with all of the ONLY correct answers [this includes everything under the sun in their 8F’s ship captain’s wheel logo on their compensation structure–with some of the more shocking ones being Family and Faith]—for not just you, BUT the entire Western culture/Civilzation–yes, these words were used in sunshine up the patooty meetings. From a very simple copy/paste from Wikipedia, in everyday language, you will be able to glean below WHY all of the subjects that interst Orrin also “force” him to write on them. Why? Because they want/desire LIFE to not only cause a Revolution, they want to change Western Civilization at home and abroad. They said it. Not me. They want the anarchy to begin at home when no one wants to buy their inductees worthless product. They want it to start at home–divide and conquer and get full attention. Think about it: you are not supposed to talk to a cross-liner but people are using technology to get the word OUT almost as it happens. “Western culture, sometimes equated with Western civilization, Western lifestyle or European civilization, is a term used very broadly to refer to a heritage of social norms, ethical values, traditional customs, belief systems, political systems, and specific artifacts and technologies. The term has come to apply to countries whose history is strongly marked by European immigration, such as the countries of The Americas, and the countries of Australasia, and is not restricted to the continent of Europe. Christianity, and more specifically what evolved into the Catholic Church, was a main source of influence in this cultural development. When one looks at Orrin Woodward, and the little treatises he hands down the downline and across the upliners, it’s very clear: they must indoctrinate on all areas of culture in order to achieve the greeg-goal…..but more importantly, to keep it going! 3) we’re kind of a long way down the millenial-pike here, with old AND new sets of evolved problems—just take population and waste for two topics and technology with rapid technological advances. 4) there is a form of terrible “Orrin Speak” ego-and-ethnocentricity in his very calculated approach with the “team” aspect here. This is one reason why I rail against what looks like subverted Catholocism and Lutheranism. Should he succeed, you would RE-marginalize previously (and some currently) oppressed peoples, even your neighbor with the “evil baby” who may be hungry. 5) Humanity has bred many independent thinkers and scholars world-wide in the last two thousand and twelve years—if he doesn’t convert those elites in all of those different topics from family discipline to religious dogma, there isn’t, as they say, much of a hope in Hades he’d succeed to make LIFE the latest religion, for that’s what he wants. ….so that’s why I say: get his true philosophies out in the open, what he spreads to his leaders for their blogs, etc., and I believe the exposure will be more concrete and irrefutable…..um, I’ll be waiting to see changes made to some of the sites and the disappearance of videos and blogs (that restore culture to ALL of Western Civilzation will always live on in my mind as the day of infamy in realizing just who and what LIFE was all about). Hit the Catholic Church steps in 1953 on my own two feet….I never recall this being said, even when the priest in 1967 starting screaming from the pulpit that we hippy generation were doomed to fire. YET: here we are in 2012, now hearing lay persons sermonize to their downlines, using this as if it were a scientifically provable fact and “common talk” in the very religion’s pulpits and homes that started this concept. This is where the danger lies, because, in essence: ORRIN WOODWARD IS USING RELIGION TO DOMESTICATE…TO MAKE SURE FAMILY FOLLOW THE HUSBAND IN HIS ENDEAVORS AND/OR COUPLE FOLLOW EACH OTHER—BUT SOME HOW, SOME WAY, ORDER AND THOUGHT MUST BE CONTROLLED. What better way than to promulgate, i.e., make a doctrine of, HIS version of Christianity and mainstream religious sect ideas in as the gravy binder as he woos one to the poison Cool-Aide. You’ve just suffered through a Treatise on the Subject of Orrin Woodward’s LIFE He does this on myriad topics spanning thousands of years. Where’s he get the time? LOL! couple of typos–sorry. Weath=wealth, etc. Quick clarification of “sin” from Catholic indoctrination: in general and for the sake of brevity, children are supposedly born with the “original sin” of parents that came before them, all the way back to Adam and Eve and the only way to get into heaven is to have it absolved via Baptism; otherwise, folks, these babies are doomed to Limbo. Baptism for adults is different: they must actively approved and practice all doctrine/dogma of this faith (well, not that too many do, but you get the technical drift here). But this doesn’t mean, as a blanket out-loud statement that the individual baby spoken of as evil and in sin as we speak of newborns today—-sometimes, it’s a matter of semantics as to how people TAKE what they read, or how/what/when/where it’s said. Do you think that if Baptisms didn’t bring in money/gratuities, they’d continue with them for anything OTHER than tradition sake? My grandson just got baptised a few weeks ago–fun time; nice minister. Terrible Mother, what you are saying about Orrin is very insightful, and it makes sense with what is going on politically and socially in this country and the world, that an ego-driven sociopathic type person who thought they had the ultimate solution to everything would eventually pop up in the form of a kid from a nowhere town in the midwest. Anyway have you ever read Aimee Cesaire? This notion of changing Western Culture, wiping the slate clean and using religion is not new. It’s scary that I was ever in that man’s house. I have been reading about your son and I am sorry for what you are going through. It’s heartbreaking. I remember having the relationship problems I had with my own mother exploited for “the business” and believed that she didn’t want to be a part because she didn’t love me and she wanted to be unhappy (because she was but now that I am a mother I can see her side a little more clearly). I already had those feelings and this was just one more reason. I also believed she just didn’t understand (most people who were opposed didn’t know the full scope, I think they just had a rightful bad feeling about it) and if I could help her understand she would be happy. I was quite young. @Cali: Are you talking about the founder of the Black Negritude movement in the 1930’s? No, have never read anything. Was he trying to say that this is what was done to South African indigenous peoples? Tell us more as to how you think what he had to say applies to LIFE. Thanks for your comments regarding child/parent and how it was for you. As for me: I’m sitting here, still just blind-sided amazed that it could happen to an almost 40-something and his almost 62 yr old mom—it seems bizarre at this age to wonder if my son would now petulantly think I don’t love him over something like this. HOW are they getting people sucked in so completely, SO FAST? The rapidity with which it occurred was stupendous—-because of reading a few books, listening to a few CDs and going to a few meetings? Say what? Man, my grown child must have been “desperately seeking Susan while looking for Mr. Goodbar” (reference to some old flicks). Yes, that’s the guy. I realize he was quite radical and may be a bit of a stretch for many people, but whenever I try to answer the question how how people can be manipulated so easily I think of a book this guy wrote. It was more of a long rant about how there’s an overall trend in Western Culture to alienate, take credit for something you didn’t do alone, blame groups of people for interrupting progress and to amass a lot of wealth (because to be poor is hate yourself)- when someone comes along that embodies all of this and something terrible happens people are sctatching their heads and asking why. Really shady people. I just went and read Orrin’s blog/website and I’m sorry but all I think about are really evil people who have used what resonates with so many people as the truth to get them to do things that aren’t good for them or anyone else but the dudes at the top. @Cali: BRAVO! on your post! Do you believe that stealing people’s time and making profits off all the people employed in a pyramid (a job) while they work 45+ years and sometimes unable to retire is ethical and right? @LugiaChan – A job is not a pyramid scheme. Please answer the question you quoted from webelieved. Lugia Chan- What percentage of your Team is making a profit? Pyramid in Structure vs Pyramid Scheme legitimate and legal the other is not….2 different things, LugiaChan. It makes me happy that we have all these new posters on the blog today. Even though they come in defense I know that they have seeds of doubt planted that will (hopefully) lead them to the truth. I just hope it is sooner rather than later to limit the destruction that follows the wake of TeamCult. Do you work a job Lugia? I bet that there is a very high chance that you do. Over 99% of the people involved with LIFE will always have to work a job otherwise there would be no money coming in to finance the lifestyles of those at the top. A job will pay most who have one a “living wage” (I have included a definition so that you can learn before looking so stupid), in LIFE, no more than 96% can even earn enough for their subscription, not to mention actually earning a living wage. Blah, blah, blah….same rhetoric from the same schmucks, over and over….sigh…..I can see nothing has changed while I have been gone for a month. What about the books? Tax returns? Do not businesses have to have them in order and be ready to show them within a reasonable time when requested? Do not even politicians release personal tax returns just to run for office? If they are so Bible based, then where is accountability? Continuing on, if this is a business, why is it each member does not keep a set of books? Does not the IRS require a “business” to keep books? I own several traditional businesses and have a national reputation for what I do. I ran across this blog while checking out the Life business. I must say that what i have read by the contributors of this blog are simply unimpressive. It must be said that the contributors do not do themselves any favors, and frankly come across as whiney know-it-alls who are more impressed with their own knowledge bank than what is traditionally out there, applicable for business owners. There are two types of mentalities out there. Business owner/employER mentalities and employEE mentalities. The employer mentality does not usually degrade the employee mentality, as it sees a need to harness loyalty and the willingness to work for the good of the employer (whether that is a corporation or a family owned business). However, it is very typical for employee based thinking to degrade and belittle an employer mentality for the simple reason is that they can not relate to it. The employer mentality is more forward and long term thinking, while the employee is more short term and needs or requires more immediate returns. Most of what you demonstrate is employee mentalities. There is nothing wrong with that, other than it seems as though you should not have gotten involved with business ownership to begin with. I do not belong to Life. But I can not help but shake my head over some of the comments. The list of questions presented in this blog are excessive. While they seem good, you would never succeed at anything if you asked so many damned questions for all your endeavors. Entrepeneurship is about risk taking. And if jumping into the Life business is something you don’t or didn’t like then get out…quickly. But to point fingers at others and to blame them for your regrets is a sad reflection of you. Not the perpetrator. What I see are the offerings of the products. Which seem pretty mainstreamed. I have paid thousands of dollars to get the same information and attend seminars run by other leadership gurus and schools. It all seems like the same material, and the exact same books (which i already own and have read). As a business owner, I have learned to not listen to the ignorance of those who are educated beyond their intelligence, especially those who are educated in the liberal arts (of which I am one). These people do not know how to think critically in a business, and I would not trust them with my family’s fortunes, nor advice on business. Just letting you know my opinion of what I see from all of you. @Ken – If you analyzed the success rates of TEAM/LIFE businesses, you might change your tune as to the effectiveness of the LIFE Business. I personally encourage current TEAM/LIFE members to take stock of their business’ health each month. If expenses outstrip revenue month after month after month… does it make business sense to stay in? The truth of the matter is, the majority of people who participate in whatever business TEAM is aligned with at the time (i.e. Amway, Quixtar, MonaVie, LIFE), are not making money. While they might think they are engaged in a legitimate business, in reality, they are hobbyists that are funding the lifestyles of those at the top of the TEAM/LIFE pyramid. I would argue that TEAM and The LIFE Business fosters a follower’s mentality in their membership rather than a business owner’s mentality. One only needs to peruse the various blogs to see the follower mentality is pervasive within the TEAM/LIFE organization. Ken A- 98% of people will lose money from this business. To me that is an open and shut case. First Ken, if you came here to be impressed, you came to the wrong place, we aren’t here to “impress” anyone. Although you say you aren’t a Team/LIEf member and that may be true, I personally doubt it. Interesting Ken, you seemed to be the one who is trying to “impress.” You also appear to be very proud of your business “reputation” and if that is as important to you as it seems, then I would recommend taking those “questions” on here very seriously, before going into “business” with or as an “employee-independent contractor” with Team/LIEf. Ken you won’t “own” your own business when you join Team/LIef? And since you own “several business” and are intelligent, I would think it safe to assume you Ken would read the contracts and Policy & Procedures before getting started. Don’t take the word of people here, find out for yourself. That is what we encourage, Let us know if you are encourage the same from the Team Liefers. Do you understand and know the difference between a “traditional business” and an “MLM?” Have you built an MLM? And if not then do you think that those questions and those on here who have “built it”, might know something about “business” ? Orrin Woodward IS the “owner” of team, so Ken, what does that make everyone else? (He named it Team of Destiny in the Yager “system” with Amway, (1993) then in 1999 he became the owner and changed the name to Team w/ Quixtar, because he too cares more about his “reputation”, so with the name change he was hoping to keep that “negative TRUTH” from people like you, who search the internet, Is this “traditional business” practices Ken or is this what you would do running all your business? Or do you let your character and business practices earn your reputation? Then Orrin was paid 3 million dollars to take (solicit) the downline into Monavie, which btw got him kicked out of Amway and lost a 25 million dollar lawsuit against them with an undisclosed settlement amount in arbitration. Since they have nothing shy of dumped Monavie, to become now Team/LIEF ) the “new name” again, which is their very own MLM; far from being a “traditional business”, though. But you are obviously intelligent enough to know about the risks of business. Ken, a smart “business owner”, asks questions, wants to know about who they will be going into business with (FOR) and then “weighs the risks.” With ALL your businesses Ken, do you make the important decisions and do you think this is what “business owners”, do? I would recommend doing a lot more research on the reputations of those you are defending. What are the names of your “several traditional businesses with your national reputation?” Btw, do you pay others for reputation management? While you have taken the liberty to judge, criticize, and then assume you know that people on here don’t have a business “mentality” or own a business, without knowing a thing about them shows your “mentality.” You are certainly entitled to voice your opinion on this blog unlike the Team blogs. Read how the IAB, the organization that “awarded” Orrin a Top Leader award, was recently shut down and called a scam by the Federal Trade Commission. I realize the second is for Michigan specifically but it has to say something that the outline of the bussiness plan they have outlawed fits the team/life model. Also I am happy to report that after six months of wasting her time and money my friend has started to figure out that she is NOT making money, and cannot afford to keep throwing her own money into the LIFE plan. She was unable to meet their demands for numbers of participants and made only $36 in six months. She has spent thousands trying to get people to join and for nothing. I thank god that she has given up and is finally concentrating on her daughter instead of this scheme. Great victory, for your friend and especially her daughter! The mass majority eventually figure this out that they the masses will never make any money! This would be as we know risky and those guaranteed 97%plus who get nothing but losses shows that it is not profitable and therefore “risky- business.” Thanks for sharing. Was wondering if you could fb message Raquel, your friends experience would be helpful to her case. Thank YOU! @Frustrated – Thanks for the update on your friend. It seems like your friend quit because of financial reasons. Were there any other reasons that contributed to her departure? One last and most important thing; study the Life comp plan and video provided on here. After all that would be the number one reason for getting In “business” wouldn’t it…To Make A Profit? Oh and just so you know the 6- PC are from Orrin’s Amway line of sponsorship, Claude was from a cross-line group. 7 PC with another one that just got recognized, out of what are they saying the total numbers in Team/LIEf are now?…10,000-20,000. Ken this could give you a realistic idea of “how many make-it” and ask everyone of the PC if any of them ever got given other people’s teams to hit that level or any other ranks or if when in Quixtar/Amway where they all came from, or if they ever bought any teams to hit Diamond/PC? Also, better yet ask them if the playing field is level for YOU and all the rest of the 10-20,000 and how will everyone be given others teams? Let us know if you get those questions answered. I wish I could say she “saw the light” but she hasn’t. She still thinks that “the business” is a good thing and she kinda blames herself for her failure. While this is completely false I am just happy she’s starting to see the light. Hopefully in time she will see through the brainwashing and come back to reality. I will take every win I can get and face one little battle at a time instead of trying to fight the whole war by myself. I am the only REAL friend she has left after all the others ran from her persistent sales pitches. Laura- I am in fact interested in learning more about the business. If I have a Team that is 100 people in size how many of those downline of me can expect to earn a profit? @Laura, seriously? If someone offered you a business, wouldn’t you want to know two things? 1. How do I make money, and 2. are you making any yourself? Your “co-worker” analogy is totally irrelevant comparison. Get real! Laura – I beg your pardon, but I think anyone asking you to be a partner in business should expect to be asked to show their tax returns. It is presented as a business, not a job. You are correct, you would not ask your co-workers for their tax returns. However, it would be foolish to not ask to see tax returns of someone trying to sell you on becoming a partner in a business venture. This brings to light one of the biggest concerns with Teamscam – all the normal rules for business are thrown out the window. Why do they not teach profit/loss and balance sheets like normal business? Why do they not teach everyone to do a statistical analysis of their profit/loss records from month to month or year to year? Why do they not recommend to see and accountant or an attorney before beginning in business or at least have them analyze your progress each year. YOU said it is a business, so based on that statement, I have one very simple question you should answer for yourself- what kind of business is it? If it is a partnership, one ABSOLUTELY has the right to ask partners and leadership to show their tax returns. Unless, you aren’t talking partners per se, but colleagues and co-workers which means there is a boss somewhere, and he certainly doesn’t have to show his because he is the boss and he signs your check for the work you do for him, so he doesn’t owe you the right to see his paycheck then. In this business is that you? Is that Orrin? What? Orrin doesn’t sign a check to you. You don’t write your own check either. Oh, the LIFE company does, that Orrin controls. So anyway, Orrin’s company pays you and all of your working downline a lot right? For the sale of books, CDs, tickets, etc? Who is paying for that? Oh, what? You and your downline are? And other “partners” and their downline? Doesn’t that make you all customers? Oh, well, I guess you’re right then. If you’re just a customer then you don’t have the right to ask anyone for their tax returns. @MemoryLame, your response to Laura is way too logical…good stuff! In hindsight….if we had all only done what we are now telling others to do……Overcoming hype is a pretty difficult thing to do, after all the rhetoric they spew seems to make so much sense doesn’t it? MLM scumbags become expert manipulators of emotions. Emotions override common sense, judgement and critical thinking. For those of your keeping track at home I have asked 22 posters on this blog that have described themselves as a form of current Team (LIEf Training), and no one has responded yet. Amthax- Is it possible that I am writing in invisible ink? This seems like a really simple straightforward question that any business owner would be able to answer. Laura, I have an additional comment. No I don’t ask to see my co-workers tax returns, but you better believe I asked how much my job was paying BEFORE I accepted it. And my paycheck better line up with what I was promised, or I am out of here. Laura, either it’s a business or it’s not. If it’s a business, then treat it like a business. It’s called Due Diligence, and it is the prospective business owner’s responsibility to investigate the business opportunity and likelihood of profitability. Most of us on this site wish we had done proper Due Diligence before we got involved with Orrin Woodward. We didn’t; we trusted Orrin; and we are sorry now. Amthrax, do you think we could have some kind of window or sidebar that keeps track of all the responses we are waiting for from the LifeTraining members/victims? In a business the sole proprietors are responsible LEGALLY for their actions, this expands to partners. If for some reason you are sued both parties could lose everything. That being said if I were to enter a partnership I would want to know the other person is responsible enough to pull their weight, and that thy were not pulling me in to take a fall. I would absolutely be asking about their finances! It’s possible to create a post page to track this in the future. Anyway, that’s my story, I’m sticking to it. Besides, I’ve already got 3 things going from reputable companies that have been around for 20 plus years that have quality products at reasonable prices. A distributor of one, & a discounted customer of the other two. Too bad there’s not a way to make a MLM out of Tim’s strawberry moonshine! Nobody has ever made a bad decision about anything, really. They’ve just made the best decision they can with the information they have at hand & presented to them. @Amthrax, where do these guys come from? Utterly amazing! Congrats on doing your due diligence. Thanks for sharing and what a great idea i.e. ” Tim & his Moonshiners-MLM” hahahaha! Thanks for the laughs. But Leave the MLM out and I might be open to trying Tim’s Moonshine! They must have be fairly “new” to the game…Funny isn’t it…they couldn’t debate the facts, hmm…must be frustrating for them.. and then how their “positive” attitude immediately turns sour. I’m still waiting to hear from anyone how ANYTHING has “changed” from when they were in Amway? Can anyone tell me what is “different?” From Team of Destiny, Team, Team Monavie, Team LIEF, LIEf or what-ever..
Doesn’t matter how polite you are in saying NO…most can’t take the rejection or accept it politely. Just can’t see through their black and white brainwashed thinking that all those people who say NO, thank you, I am not interested in your ..losing scam… ARE able to….. critically think and have done their own research nor could they entertain the truth that perhaps God called others to do something else. It isn’t rocket science to the folks in the real world, when they sit down to hear their spiel, they have already done their research about the People & company they are being “sold-on”, as they should… it’s called due diligence, perhaps they ought put a cd out on: how to accept that people are able to see the past they try desperately to silence and that than their manipulative and deceptive tactics are useless. This was exactly the problem when my enormously ignorant (not stupid, but ignorant in the ways of cajoling as a salesman, and about the “product”) grown child nearing age 40 reacted when we said we were absolutely NOT getting involved (you know how ignorant he was? At first, we thought our duped newbie was trying to just sell us a book–the newbie didn’t even make sense in “the pitch”) ……this is what caused the downfall of family relationships. The grown child got downright snotty, demeaning,etc., because we would not get involved. Here’s a big problem: folks getting into it are sincere and gung-ho, which is fine, as long as they, too, know what they are dealing with and have some savvy salesmanship. Our grown child did not have a clue, which was very obvious to us. Newbies to these types of cultish inculcations can also possibly mis-understand their CD baloney, too, or they’d know better than to, for a specific example in our family: tell Jesuit University valedictorians that they had a mediocre education (which, of course, was used in the real world to support the very “brat” now trying to sell Life/Team, with said “brat” mistakenly telling his/her own parents what losers they are educationally and otherwise (for refusing to get in on such a “good deal”, etc., even though said “brat” had just in that past year gotten 10 grand worth of financial help from the “losers”, etc.) ; and instead of realizing that OW was serving his own selfish distortions in pushing his belief that education was lacking in how to make money in rip-offs out of pyramid-type schemes, which is what OW’s big issue truly is, along with wanting unfettered free enterprise –meaning they don’t want to get caught or have sanctions, etc..) You see the ironic humor here? Their very teachings can tear families asunder….so much for the “8 F’s”, eh? The inculcation is so distorted and deep, that the hawkers of dreams get flummoxed when the rehearsed spiel doesn’t work, and then all of the adages-to-con-by hit the sewer when the prospected/prospective victim says “no, I won’t get involved”. Man, we were/are a classic case of it in this family. @ABhealthyagain: you have a good story, too! @Bhealthyagain – Comments that promote another MLM business are generally frowned upon here. Because you did not overtly promote your business (i.e. “TEAM is bad, come look at my business!”), however, I only made mention of the link to your First Fitness business, in the interest of full disclosure to those reading. He did the work?? ?…..that’s news to me. 1:25- Laurie says- “I feel so blessed and honored to be a part of this family, it feels like we are home”…. Laurie….were you about to cry????…. ummm….I could’ve sworn you gave a much higher number than this….? I’m in the mood for giving toasts too….I’m at a loss for words, team. @Switch – I hadn’t seen the second video before; thanks for posting that. At the end, Dallin talks about the “rest of the story” that’s yet to be told about Orrin and Laurie. Guess he didn’t want to mention the $3 million “loan” MonaVie gave to them? 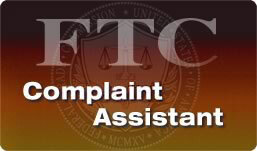 I’ll post a link in the FTC complaint assistant post. On another note, for the women who’ve seen the commecials for the “Genie Bra” stay away from it as that’s another scam as those bras are worthless. I know as I got 6 of them for my wife & they were worse than a bad sports bra! Had I done my due diligence with that, I’d have more money in my bank account as there’s plenty of info on how it’s a rip off. You killed me with that comment! In the face of ideas foreign to their MLM dogma MLMbots are so tight they squeak. They’d rather turn sour than at least say hey look here bud…just something, jeez! Another bunch of proud products of Orrin Woodward’s TEAM / LIFE / Training something. Orrin Woodward must be proud! Nothing like facts to mess up a good story, huh? Darn!, not. I’m curious to know if those posting the negatives on this blog believe Network Marketing works, or, are just pointing out Orrin, Life, Team etc… And also, how many here have actually built a highly successful Network Marketing business? Credibility will go way up if the commenters here have built huge, sustainable organizations other than with Orrin. In this way they would be comparing appropriately. If most were unsuccessful at organizations outside of “Orrin” then there is a different question being raised. First to answer your specific question you need to clarify what YOU mean by a “successful Network Marketing sustainable business” then be specific if you are clumping ALL direct selling, network marking together as almost all do. Do you think there is a difference between “Network Marketing” (recruitment only focused) and Direct Selling product =sales focused? If you ask me about “Network Marketing” that is what you mean, it will be interpreted that way from most everyone that has been in one. Interesting you say “Credibility will go way up if the commenters here have built huge, sustainable organizations other than with Orrin.” I could share details the size of our organization in numbers but won’t, but I will say this it is laughable that you put “sustainable” when referring to Network Marketing. Tell me any “Network Marketing” company that is “sustainable”. Funny in the “industry” if you build thousands of people on your team while you are in, they are all over promoting you as “successful” but if a person leaves or is kicked out, strong armed out or whatever, then they are a critic, their previous success is now you a quitter, hater, loser,.etc. Please don’t try and tell me any different,or that it is “different” in yours. it would be a waist of time. You can find this by reading about all the TOP people being sued for taking their teams, and they make it “top news” in the MLM-MEDIA who is leaving who and going where, it’s plastered all over the place about the “highly successful”TOP MLM’ers in Many different MLM’s who hop to the next one when they no longer like the previous one. Of course they like it to be said with a positive spin. It is obviously standard and accepted in the industry as a whole, just read some of the attorneys in the industry, it seems that it is acceptable and the way the “business” is done. So what is the “different” question? Do I think “network marketing” works? Yes, I know it works from my experience and speaking to and reading up from many others, not without deception, unfairness, hype, gaming, secrecy, and many destructive things. I also believe it “works” but not without the lack of transparency, special deals, faking many things, ignoring your boundaries, denying who you are and ignoring your true feelings, all your resources, including you time and money. You will be expected to give up any future quality time with your family, friends, and associates “outside” the “business”, succumb to the “us vs them” world view, you have to be unquestioning, willing to change to someone you may not want to and to their standards. You must be submissive to the Hierarchy (dictators),and treat them as gods who are smarter than anyone on the planet, accept the fact you own nothing, be willing to give it all up including your retirement, savings, and even be willing to Rob peter to pay Paul to pay your bills and be “all in”. You must have undying and unhealthy loyalty to your upline and the TOP whether that conflicts with your, spouse, children, parents, Pastor, church, boss, friends etc..you have to give up your children’s sporting events any and all important memory creating events that would conflict with ANY meeting, and The most important thing…your time, they will expect you to miss weddings, funerals, and any other event that is important to you if there is Any kind of meeting they are putting on. Otherwise, you will not be “loyal or successful” by their standards. You might be asked to sell out your downline, and possibly do unethical, unfair and things that you wouldn’t do or become who you don’t want to become. You will be expected to “edify,” “follow” and “emulate” the “leaders” even if they have proven undeserving and you don’t trust them! This is NOT who I am, ever want to be, do, or have. You might have to and maybe asked to Violate your own contracts over and over with the company or companies you are suppose to be promoting and selling their products for, such as inventory loading, use of deceptive recruiting techniques, income claims etc.. you will continue be expecting your downline to go broke because the pay-plan guarantees it; to satisfy the ridiculously low percentage at the top, and all kinds of other dubious activities and things that go against your gut, that the Top will ask of you. You will be expected to tell your group how dumb you were and how smart the “system” and your upline is. You will have to ignore that 99 plus % of your team will never make it to the “TOP” and will only continue to lose money on a false belief in the riches at the end of the rainbow lifestyle. Or you might be asked or helped in purchasing a house you know you can’t afford; that would obviously be a predetermined foreclose and then in turn it will be your problem to deal with and your credit ruined. You might devote years on a false pretense and lies of owning your own business, while building your Network Marketing company to multiple thousands of “business partners” and then have it all “taken” without an explanation only to hear many rumors, hearsay and popular opinions (spread FROM the TOP) to the sublieutenants to falsely be spread of how that could even possibly happen. These rumors could change from person to person, or perhaps the old rumor needed to change because people didn’t fall for it or because it is a different day, week, month, or year…what-ever-it-takes to spin it and make it sound legit, even if there is only a thin thread of fact to any of it. Hi everyone, I’ve gone through the comments in this section and the stories have really opened my eyes to what is going on here. I’m really glad to say that it saved me, but unfortunately I didn’t stumble onto this soon enough. A few days ago my boyfriend brought up the be-all-to-end-all for his financial troubles. He told me he talked to someone about this LIFE program. He was told that he could quit his job by the time he’s 24 (only 1 and a half years? hmmm), no longer would he have to swing a hammer! We could have a house, go on vacations, buy some quads and go mudding whenever we wanted…it all seemed so shiny. So perfect. Yesterday he asked if I wanted to chat with the person he talked to. He said because I was a student and had more connections than him we would make a great team. He wanted to do this together to spend more time with me, to make our relationship better. I didn’t think anything was wrong with us. Not doing any research into it (and not wanting to hurt his feelings), I agreed. After doing some quick research into this madness I have told him I won’t be meeting with that guy tomorrow. His reaction was surprising, it was like I had stabbed him right in the ego. He said that there will always be bad things said about good things, that all I had to do was to go to this meeting and listen. That no matter what I said or how I felt he was going through with this. It’s almost as if the guy he talked to preyed on his insecurities: oh, you don’t OWN a house? You can’t afford to travel? You work far away from your girlfriend? Don’t you think that negatively affects your relationship? Now I’m worried. I don’t know how long he’s been talking to this guy, maybe a few weeks. I also don’t know how long it takes for a rep to get their lies set in someone’s mind. Judging from my boyfriend, it doesn’t take long. I suppose my question for you all is this: how long does it take someone to be stuck in this and how long does it take to get someone out? The last thing I want to happen is for him to get burned by this scam. I don’t want to lose him to a cult. Thanks for sharing, and I am really glad you could see through the foggy LIEF cloud. I wish I could tell you there was an easy way to make him see the light. That there was one trick to open his eyes. Unfortunately if there is I haven’t found it yet. onto how I might be able to help. A) if you go to the LIEF website -or- Amthrax might have a link to it here there is a printable copy of the Contract members must sign to join LIEF. This “contract” violates some contract laws, and also has some very questionable conditions. Read it carefully! B) Income in LIEF is mainly based on getting people to subscribe to the material mailings. subscriptions before you “might” qualify to receive income. stay above the minimum subscription level. C) Most people over $1000 each month just to fuel their business. you feel like they are necessary for your success. both the sides have equal rights. And ALWAYS remember that these LIEF members are known to say whatever it takes to pull emotional strings. My best friend called me stupid for getting a degree and that I was wasting my money on college. I am educated enough to know a degree in accounting will be more useful than leadership material, but being understanding enough to know that it wasn’t her talking . . . I refuse to let them have her and I will fight to get my friend back. It has been a horrible year but there are days when I can see the light at the end of the tunnel. They are approaching with supposedly kind hearts so showing him anger, distrust, or empathy will most likely drive him closer to their trap. I think the best defense is a good loving offense. He needs to know that he is good enough just the way he is and that while swinging a hammer is not making him a millionaire it’s good honest work. Help us end the brain washing and report them to the FTC. Look at tupperware, or avon they have basic MLM setups and have been very successful. There are many (PureRomance, Home Interiors, etc.) that are honest and have been successful but TEAM/LIEF is not one of them. @Frustrated. Here in Canada they want you to be on 3 subscriptions which is around $200.00 a month and new members are encouraged to do so also. In order to qualify for any contest i.e. go getter, power player the 200 pv is a requirement. Also, the weekly meetings are not free; it is $5.00 per member. Lots of great advice in your post! One thing, I don’t entirely disagree with is the point about an accounting degree versus studying leadership. You’re definitely smart for getting your degree. However, I want to point out that it is important to study great leaders and have a better understanding of the history that has shaped our society today, and it is something that our culture as a whole could use more of. This is a truth that the TEAM uses to wrap around a bunch of lies for the benefit of a few and the loss of many. Ironically, if more people would take that notion and begin to study history and leadership for themselves. (NOTE: NOT as guided by a phoney “guru” and his cronies), it would help them better recognize the lies from guys like this when they see them. I like Mike Bickel’s approach for friends and family especially – go to a meeting with them, armed with the information you have here. Your friend/family/spouse will have an upline present at the weekly meeting. Tell your loved one that you will go for them, but you really want to have some questions answered by “the guy that got them in,” because you care about them and want to make sure this is not deception. 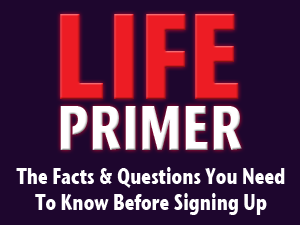 Grill that upline using the questions from this article and watch them dance. A spouse/friend that loves you may be irritated with you at first, (depending on how much you smile as you ask questions), but I promise you those questions will gnaw at them too, once you’ve asked them. After awhile the gnawing will be too much. FromaFar- You should be lucky that you found this site before the TEAM really gets their hooks in your boyfriend. He could be in a lot deeper than he is right now. That being said every day of 4-5 CDs the brainwashing continues. I really wish you the best in this process. While you are going through it know that we will be here for you. Mayra- Thanks for taking the time to post. I am curious though as to what percentage of your downline is making a profit? BTW, from one who DID make it, Orrin Woodward was going mainstream back in 1999. Let’s see, it’s 2013. Just when is this mainstream thing going to happen? Once you earn PV (the point system in LIEF) do you always keep those points? Do they expire? If a subscription cancels do you lose those points? I don’t know what made me crack up more, your comments or Former Round Table laughing! Oh you are very naive, you haven’t said anything ‘new’..people have been being paid of the pyramid scam tool company, beginning clear back in the Yager “system” in Amway, Where almost ALL of those 7 came from..Where do you think the & PC have gotten that lifestyle and income they entice you with, Mayra? I will say I read they are coming out with a ‘new bonus-chart’,Mayra, so could you do yourself a favor ask the “7-PC” why those results are so poor and why there are ONLY “7” out of what 20,000 people like you, Mayra? But more the truth would be 7 out of probably 100,000 churned through? How do they have 3 new PC but still only have 7 PC?? Something is not adding up,are you using MLM mathematics? lol When did you get started, Mayra? Seems like changes happen very slow and then fast, with them, usually when ‘fear’ is present, after all they have been running their own pyramid scheme for 14 years this way! They call this “selling hope?… I call it deception and leading others off the cliff into despair!”…they intentionally deliver “their messages”..about ‘change’ as if they are gods who do it for the good of all, obviously that works for the masses in keeping them handing over their hard earned money to the TOP. I remember Orrin feeding us a total line of BS about how “When You go 1000 PV-in Amway, you are going to be making SO much money, but when we got there (try building Amway, that had already “blew through town”,the cost & effort it took…in a state with more animals than prospects, When we got that pittance of 1000 PV-check, I wanted to throw up! I thought big liar, (Clue:that is NOT how you build trust) especially after adding up the accumulated LOSES. They would tell you it doesn’t matter cuz that is “proof it works”…yea it works, alright.. in trapping others. pfft! Needless to say, I was jacked, that we took from our families income just to build it to that point and confronted Orrin, he thought it was funny!…then continued with the next lie, oh wait til you go “4000” you won’t believe how much money you will make and you will be able to pay for all your business expenses! *This sums it ALL up for me: “I can’t stand liars, I’d rather be told the hurtful truth, deal with it and move on than to be told a blind lie and be ignorantly happy. So I pity Mayra and all the others who will get trapped by the deception and lies which happens slowly and then BOOM! My husband and I have been looking into this, and I being from the goth/punk subcultures am always liry of scams and such… to beat the system to trust systems…. He has bought in I fear hook, line and sinker… I on the other hand am thinking, “It walks like a duck, talks like a duck, therefor it must be a duck. And you just Quaked!” Help? He wants to do this not to so much quit his job (he is working to become a full time horse shoer) or me quit mine, I am in school to do holistic health and nutrition, but as a supplemental to that… as both of those fields are our passions. 1) You’re going to be spending several hours each week attending meetings, prospecting, and holding meetings of your own. 2) Each month, you’ll be encouraged to attend a monthly meeting. 3) Every 3-4 months, you’ll be asked to attend one of the major conventions. 4) You’ll be asked to buy products from the LIFE business. 5) You’ll be asked to “invest” in TEAM/LIFE Training tools that you “need to succeed” in this business. How do you make money? You get people to do steps 1-5 like you. You can also try retailing products (4), but good luck with that! You are onto it, so stick to your gut..it will save you way more than you can imagine! Thanks for sharing. In a scheme that requires you to introduce somebody else in order to advance in making money incomes are made in one way only: from the newly introduced person’s loses. To make a whole lotta cash then you have to get a whole lotta people to loose their cash. The way the cash is lost is through purchases of items in monthly quotas, meeting attendance ticket costs, etc. The money circulating in the scheme comes from the pockets of the participating members and it flows generally up the pyramid from bottom members. There’s hardly any sales by those members to non-members as required by law-this is illegal. Contrast this from a real business – it has real customers (other than the owners operating it) whose purchases provide the bulk of it’s revenue. You might have heard the members say that if this business illegal how come the government hasn’t shut it down, after all it’s been in operation for x years. Well these schemes owners’ crafty deftness do a very good job of obfuscating the illegal process by introducing products in this setup. Obviously the authorities can’t verify every month that each member is re-selling 70%+ of their purchases to non-members. They rely on them to police themselves. The operators know this so they, together with well paid lawyers, DSA and yes some of our congressmen, all help the former to keep the scheme going until the authorities catch up with them (Google FHTM shutdown). You and your boyfriend should stop, back up a step and Google how to perform due diligence while considering a business. Every business person does that-due diligence. Then execute those steps regarding this scheme. If someone tells you that they are the only good source of information on a business that should be red flag for you – are they afraid you might find something from other sources that they would rather you did not find out? I should have also said that money is also obviously made from existing members continued loses. Run far, far away MMorria!! Perhaps this question should be updated. If people are going to ask questions then it stands to reason the question should be up to date. I recall there being new PC members at the recent Ontario major in January. While I don’t specifically remember their names a quick google search seems to point to Wayne and Raylene MacNamara. I see some of u have the understanding that the L.I.F.E./ TEAM business is a scam. Haha. I’ve been doing this for almost 4 years. IM FULLY JOB OPTIONAL. do not let some one that didn’t do the work make your decision on wether this business works or not. It will work for you. If you can find it in you to do what is recommended ie. Stp 15 times a month (no excuses) go to 4 opens a month and 1 seminar. Speaking of that. The open will be at the Hyatt on washington center road at 8 pm on Tuesday. I dare u to come. Go ahead and ask for me. Feel free to email me. I will respond. Benjamin – Most of the people commenting here have already been in TEAM/LIFE, so there’s really no point for them to attend a meeting; after all, they know pretty much what’s going to happen and be said. Is your job optional status a result of selling LIFE materials to legitimate retail customers or is it a result of those people in your team who are paying upwards of $300/month for TEAM/LIFE products? If the latter, how many people are in your organization that support your job optional lifestyle? Is this a sustainable business? Are you constantly having to replace people who leave the business? What’s the attrition rate like in your group? I dare you to prove you are “Job Optional” do you think we are impressed? That doesn’t mean squat.What is your net income,monthly, or yearly from Team & LIFE,,(after ALL your expenses, you know the ones you are claiming on your taxes), Benjamin? Also provide the legal document(s) to prove you own your own business showing “your business”, cannot be taken away from you, for any reason or you cannot be voted out at anytime at the whim of someone else. Hahahahaha! Go to a meeting eh?,Oh dear, Benjamin… others, including us are the ones who were the “speakers” at those Tuesday opens that told you…you needed to go to 4 Tues & 1 seminar a month! Lastly, who told you we didn’t do the work? What makes you tell those lies? They have you hook, line, and sinker… You are repeating the lies they tell you. Do your due diligence, Benjamin, keep reading and THINK on your own. We on here fell for the same trap you are and repeated the same garbage you do because we were under the same deceptive greedy “leadership” you are. Showing the plan X number of times a month does make sense to me. Where I get puzzled is how going to opens, seminars, and majors over and over help a person make it. In my experience it was just the same thing over and over. Nowhere before I made my first phone call to a prospect was I sat down to make a business plan. At no time was I sat down to project my income and expenses for the next five-ten plus years. Starting a business is a big decision. One that should not be made lightly. The intent of meetings are to indoctrinate and hold you in the “group-think”, it doesn’t provide for person to “make it.” STP 15 x per month is what they believe is the ‘majic number’ to grow your business…it is done to specifically and solely to recruit others to go recruit others.. to get them to those meetings, buy/ listen to cd’s & read books…it is how the top less than 1% have become millionaires, while the masses go broke and continue to pay to play in the “business-opportunity” or lose money. The meetings provide the new recruits and others to bring new recruits and provide them with the line for line what to repeat, say and “stp”…how to recruit and lure others in. Benjamin, there are more accurate break downs of the numbers that can be found on this site (I think Mike Collins was one that described it best, wasn’t it Amthrax?). However, here is a simple math version for you. Let’s say you only purchase $300 monthly in product, training, and seminars combined (we all know we spent way more in time, labor, travel, etc, but roll with me here, since approximately $300 seemed to be a number commonly quoted in regards to “business expenses” when I was there). Depending on the actual number of people on system 10,000-20,000, the total revenue would equal $36,000,000-72,000,000. Orrin Woodward, in an interview with Forbes quoted the revenue at approximately $42,000,000, so I don’t think I’m far off here. Several PC members have alluded to their personal income by stating FROM STAGE things like a $500,000 Coach was a month’s earnings, or a $3,000,000 home was about what they made in 6 months. So, why don’t we guess they each make $6-8 Million per year? You’re job optional, so you’re close enough to them to know that’s about right. So, finish the math – 8 PC members x $6-8 Million = $48,000,000-$64,000,000. Even if they are bringing in $72,000,000 in revenue, that is a HUGE chunk being paid to 8, maybe 9 guys now (add another $6-8Mil if there is a 9th now). No other LEGAL stockholder owned or employee owned companies pay that disproportionate in America, and they know it! No “partnership” would last at those proportions without serious manipulation, and that is what we know to be exactly the case with LIFE. What percentage of your downline is profitable? Benjamin – what city are you in that you are offering for us to all show up at an open? Was it Freedomhaha that first started asking that? I love this question, because it completely blows all the false niceties about servant leadership in this group, out of the water. NO ONE makes money without hundreds losing it underneath them. There is no way around that fact, and the more you ask it, the more the answer becomes clear. @MemoryLame – In his LIFE First Year Results post, Orrin mentioned that TEAM/LIFE combined had over $50 million in sales between 2011-2012. He also said that 20% of sales were to outside customers. Some will spend more each month and some will spend less each month. This figure is right in the ballpark for how many people are probably a part of TEAM/LIFE today. 20% of sales to outside customers certainly doesn’t seem to meet the FTC rule does it? Sounds like only 1 in 5 LIFEr’s are selling to anyone except themselves. Doesn’t the FTC Amway law state that each IBO should have 3 outside customers on average. Memory Lame- I started asking that question about 10 months ago and so far TEAM is 0 for 28 in answering it. However, I will give Benjamin a shot. Benjamin- What percentage of your downline LIFE Training Team is making a profit? Simple question. Bye, Benjamin. I look forward to hearing your exit story one day. Has there been many LIFE praisers on here return as Ex-LIFErs? Chris used to be commenting here (with some reservations) as a LIFE proponent. He recently left and is more or less an ex-TEAM/LIFE member. If it took over 10 years to get to 10,000 people at seminars, how many decades would it take to get to 1,000,000 people? It would take 10,000 NEW people EVERY year for 10 years to just get to 100,000. It would take 100,000 NEW people EVERY year for 10 years to get to 1 million. How about 100 years with 10,000 new people EVERY year? Hopefully you get the point. Wake up Team. When you consider that Orrin has been “team building” since 1993 in Amway, it has taken him 20 years to get 10,000 to a seminar. The sad part is that if he is as smart as they say he is, those 20 years in the car industry might have helped him do something truly great – and maybe honest – and he could be speaking and selling books to much larger crowds. Ironically, he could truly be changing lives for the better. If LIEF is supposed to help my relationships grow, how have your friends and family seen a positive change in your life? Would they tell us that they cut ties with most everyone. That they have more turmoil in their relationships now more than ever. Well, one of the main reasons I left LIFE after six weeks was I felt it would build a wall between myself and my family. This is the exact opposite of what I wanted. Since I left I’m happy to say we’ve gotten closer than ever. Just wanted to say thanks from reading this blog it stopped me and my wife from buying into this scam. I was draw to it cause the person how apporaoched me say they were big into history but the more I listened they were just trying to get as much money from me as possible . I’ll admit a few books they mentioned were good but why buy what they want when I can buy them off Amazon for pennies of the retail price. Phill, So glad to hear you were saved from years of lost memories with your family and from tens of thousands of dollars on this scam. I wish I had seen this site sooner myself. Please, please, please printout some of the important pages from this site and share them with the person who tried to scam you. Chances are, they have no idea what really goes on behind the scenes. They are probably an innocent victim themselves. Please pay it forward and share this info with as many people as you can.